Matt Gorman may have been cut in Episode 4 of The NRL Rookie but his dream of one day playing in the Telstra Premiership is certainly not over. The 23-year-old wasn’t always a rugby league player, having grown up with a round ball at his feet. “I’d always wanted to play rugby league when I was younger, but I was doing pretty well with soccer and playing at a good level so I didn’t want to let go of that,” Gorman told NRL.com. Not having had the rugby league experience that other junior players may have had, The NRL Rookie was the perfect opportunity for Gorman to show what he could do with an oval ball. “I felt joining The NRL Rookie would be the biggest and best opportunity I’d ever get for exposure in the game,” he said. 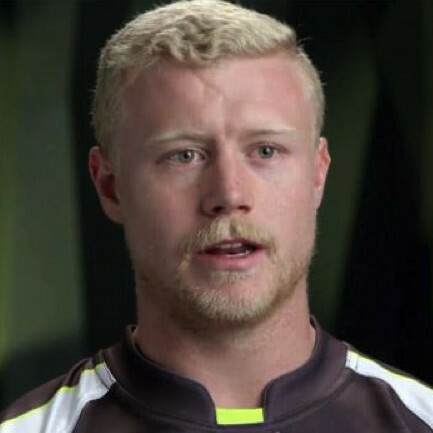 But Gorman’s NRL Rookie journey was almost over before it even began when an unexpected discovery was made during the medical checks for the show. “In the health screenings for The NRL Rookie they made us do blood tests and an ECG which is obviously for your heart. And that came back showing an irregular heartbeat so they did some further testing,” Gorman explained. “I had to wear a heart monitor for 24 hours, get on the treadmill and run with the heartrate monitor on recording everything. During that, the monitor showed there was about a 16 second period where my heart was clocking 274 beats per minute. Doctors told Gorman that he would not be able to follow his dream and compete to become the first NRL Rookie, but the determined Sydney lad would have nothing of it. “I explained to the doctor that this was my big opportunity and that if I missed it, that would be the end for footy. I asked him how quickly he could do the surgery and he managed to get another patient to push back his appointment and he got me in on the Friday of that week,” he said. Despite his late start in rugby league and the surprise health setback, Gorman proved to be a natural on the show. “My time on the show was unreal. I walked in with 27 other boys all chasing the same dream. Everyone was in the same boat, so we all got on really well,” he said. But adversity struck once again for Gorman as he injured his neck in the opening trial match and, after making it to the final 14, was unable to participate in some of the early contests. “The toughest thing on the show for me was having to sit out the first challenge due to injury,” he said. “Not being able to run up those stairs and jump off the building was probably tougher than actually having to do it. From there, Gorman was nominated in the bottom three by his teammates three times in a row, and was finally cut by head coach Brad Fittler. “I was pretty gutted to be honest. I know for a fact I didn’t get to my full potential whilst on the show,” Gorman said. Gorman has indeed moved on, recently joining the Moore Park Broncos in the South Sydney Rugby League competition having already spent some time playing in the Illawarra competition. His aim is to get a contract with an Intrust Super Premiership NSW club and says his time on The NRL Rookie was invaluable. © Copyright 2017 Immediate Assistants Events. All rights reserved.